Mark Messier, Paul Henderson and Dave King will be the 2013 class of Distinguished Honorees of the Order of Hockey in Canada, a program that annually honors a select number of individuals whose "role or service in the game is recognized as extraordinary" in Canada. Hockey Canada introduced the Order of Hockey in Canada in 2012. This new class brings the total of honorees to eight, after the first class was inducted last year. The first class consisted of Jean Beliveau, Cassie Campbell-Pascall, Wayne Gretzky, Gordie Howe and Gordon Renwick. Messier, 49, was a six-time Stanley Cup champion, a two-time Hart Trophy winner and played in 15 NHL All-Star Games in his 25-year career, during which he racked up 1,887 points (694 goals, 1193 assists) in 1,756 games, the second-highest total in NHL history. He remains the only player in hockey history to captain two teams to the Stanley Cup, with the Edmonton Oilers in 1990 and the New York Rangers in 1994. 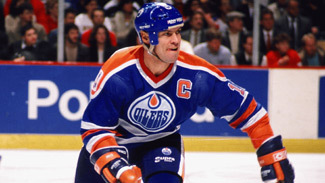 Messier had extensive experience representing Canada at the international level as a player, including the 1984, 1987 and 1991 Canada Cups, 1989 IIHF World Championship and 1996 World Cup of Hockey. Henderson, 69, forever will be known as the player who scored "The Goal," the game-winner with 34 seconds remaining in Game 8 of the 1972 Summit Series, giving the Canadians the series victory thanks to wins in the final three games in Moscow. The Kincardine, Ontario, native represented his country for the second and final time during the 1974 Summit Series, scoring twice and adding one assist in seven games. Henderson played 707 NHL games with the Detroit Red Wings, Toronto Maple Leafs and Atlanta Flames, recording 477 points (236 goals, 241 assists), and added 283 points (140 goals, 143 assists) in 360 WHA games with Toronto and Birmingham. King, 64, is one of Canada’s most decorated coaches, having stood behind the bench for Canada at the Winter Olympics, IIHF World Championship and IIHF World Junior Championship. King was the coach for Canada at the 1982 WJC, leading the country to its first gold medal at the tournament, and returned the following year to win a bronze medal. He then started a long relationship with Canada’s National Men’s Team, serving as coach at six World Championships and three Winter Olympics between 1983 and 1992, winning two silver medals (1989, 1991) and a bronze (1983) at the Worlds, along with an Olympic silver medal at the 1992 Games in Albertville, France. Messier, Henderson and King will be honored in April at a ceremony in Ottawa during the 2013 IIHF Women’s World Championship.